A gift. A donation. A lunch. A trip. Volunteering. An interview. They’re all grounds for a handwritten thank you note. To me, it’s a big priority. It’s an appreciation I got from my father. Looming is the memory of my brother and I sitting at the dining room table, pens in our aching hands, scribbling thank you’s for everything you could think of, as he watched over our shoulders like a drill sergeant. My memory tends to exaggerate. And my dad was nothing like a drill sergeant. And I don’t actually have an Aunt Maude. But I’m thankful for his caring. Because now, I really do think to send notes out, even for small things. And the one positive side of the handwritten note heading toward extinction is that people seem to appreciate it more when you write one. 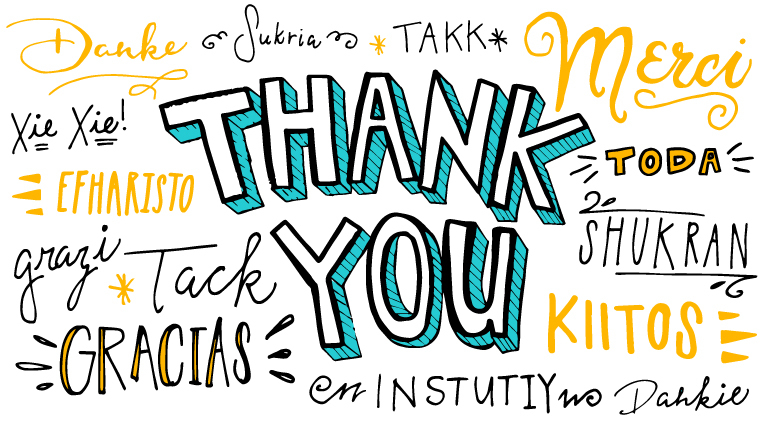 With Thanksgiving a week away, I started thinking about how important saying thank you is in the world of higher education and non-profit marketing. We work with organizations and universities who rely on alumni support, advocacy and patronage. It got me thinking. How powerful is the thank you in receiving further support? How well do organizations do at showing appreciation? Zero thank you phone calls were made. Do you think these nonprofits should have done something differently? Shanon, I like your thinking. As we lead our clients in marketing for capital campaigns, greater resources and further support, we will also hold true to my father’s principle that no gift should ever go unthanked. Thank you isn’t the end of the campaign. Thank you is the campaign. It’s the entire relationship. I regularly donate to a number of causes. And while I love my canvas NPR tote, and I love my World Wildlife Fund t-shirt, I’m not sure they were as meaningful to me as the little note that came with them. And Dad, thank you for teaching me gratitude.